Book update: This week in positive psychology we are discussing meditation and part of our homework is to meditate three times this week. Husband will be in Los Angeles … we’ll see if we can find time for our homework. Meditation does look like they are doing nothing, but it isn’t and it is more interesting than I had thought. I better go… these legos won’t put themselves up. 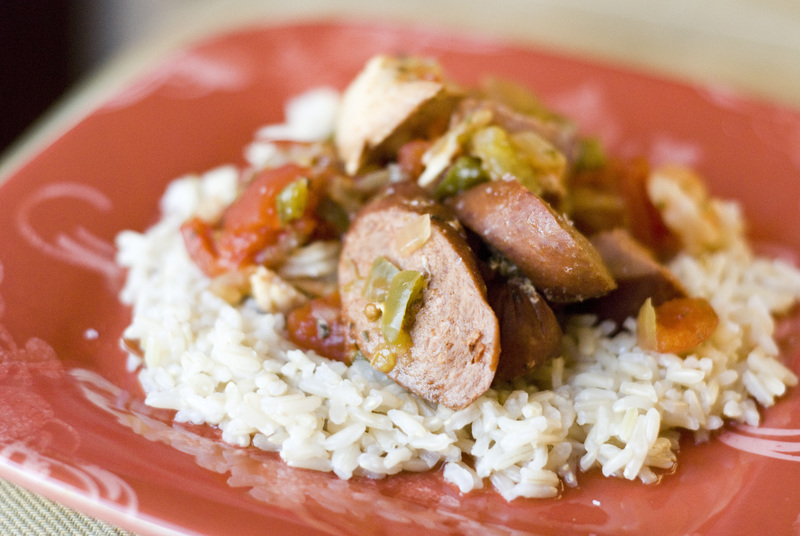 I wanted to make some jambalaya for Mardi Gras and here is what we did. The dish was very flavorful and easy to put together. I have no doubt this could have been a freezer meal since all the ingredients were freezer friendly. It does make a LOT. Next time, I may cut the recipe in half for our 2 adult and 2 small children household. 1. Put everything into the crockpot EXCEPT your shrimp. 2. Cook on low for 7-8 hours. A half hour before time is up, stir in the shrimp. 3. Serve over some rice for a great all in one meal.